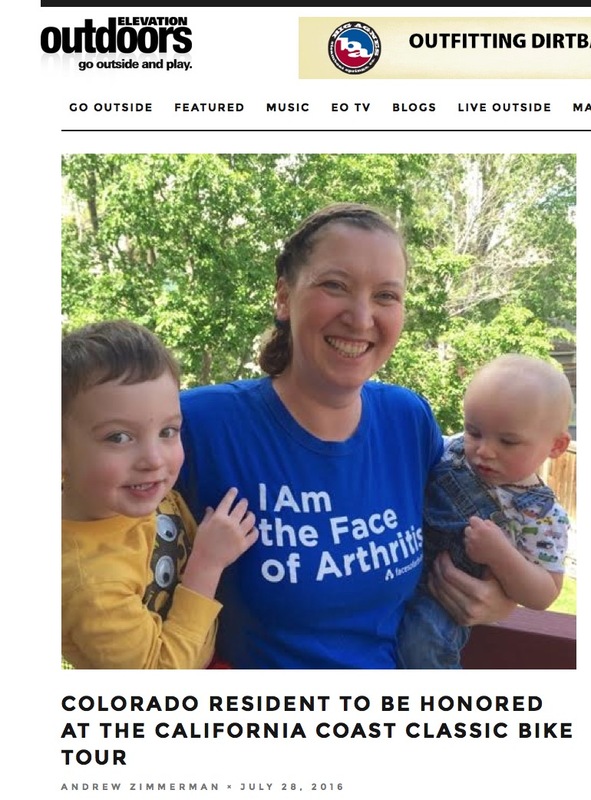 I was recently featured in Elevation Outdoors - a magazine focused on outdoor sports, health/fitness, and adventure travel in Colorado - for my upcoming participation in the California Coast Classic bike ride for the Arthritis Foundation. You can check out the full article here! I'm excited that I have already reached my fundraising minimum for the ride - and APL is very close to reaching his as well. Our other two teammates are still working to meet their goals, so if you'd like to make a tax deductible contribution to support our team you can do so here! 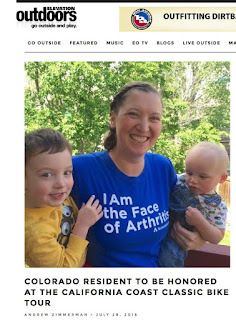 Any amount, no matter how small, improves the lives of people living with arthritis!